Are toddler reins OK, or should they be banned? How did you (or your partner) prepare for labour? What is your most effective tool in the discipline box? What is the most inappropriate movie you have watched with your kids? Toddler reins – yay or nay? This week a mum posted on popular forum Mumsnet that she had taken her toddler twins to the park using ‘reins’. She said she got lots of dirty looks but questioned whether it was fair. After all, she was keeping her children safe. Everyone knows that toddlers are incredibly impulsive and having two at once must be challenging. Do you think toddler reins are OK or are they awful ‘dog leads’ that shouldn’t be used on children? If you are OK with reins, what do you judge parents for? Teresa Palmer is about to give birth to her baby. In preparation she is drinking raspberry leaf tea, putting primrose oil capsules up her cervix and taking Christopher’s Birth Prep formula. Soon she will start diffusing clary sage oil and drinking even more raspberry leaf tea. What did you (or your partner) do to prepare for labour? Have you heard other people trying alternative means to get labour started? Experts are saying that we’re doing time out ‘wrong’. But then, not everyone uses time out as a discipline tool. Some people confiscate toys or cull TV time. What is your most effective tool for disciplining your kids? How do you know it works? A recent tweet stream asked about the worst film you’ve ever seen on a date. It made us think about the worst flick you’ve put on for kids before realising it wasn’t ‘family friendly’. 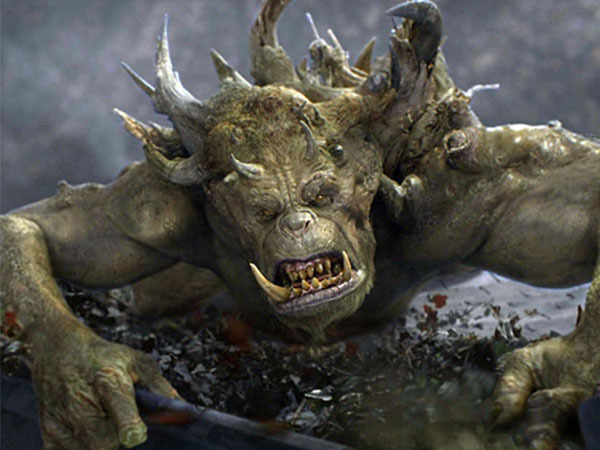 Presenter Shevonne Hunt was deeply immersed in The Spiderwick Chronicles before her husband pointed out that the troll (see below) was scaring her daughter. What inappropriate movie have you shown your kids?